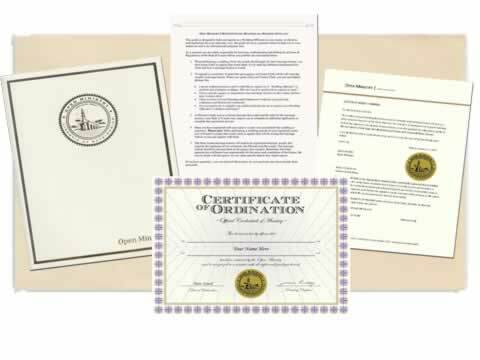 This package is great for ministers who are just getting started, you will get your official Letter of Good Standing and Ordination Credential with a certificate holder to protect your credentials. 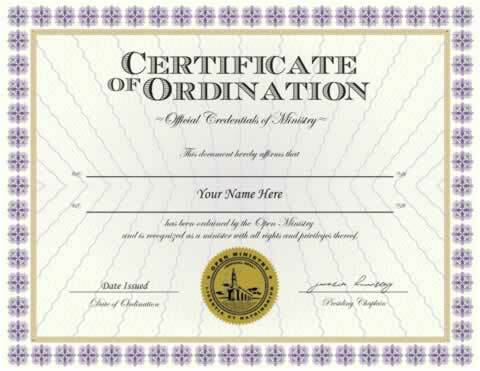 Display your credentials at home, office or other special place to proudly announce your status as an ordained minister. 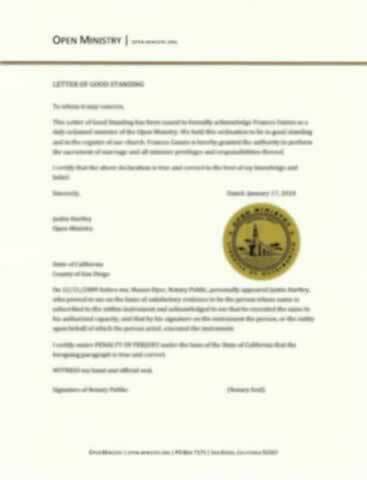 Certificates include our gold embossed Ministry Seal. 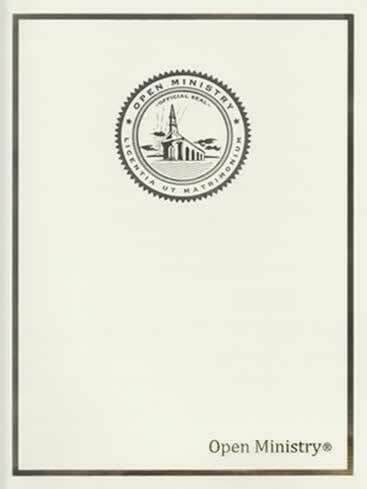 Our standard base package is ideal for newly ordained ministers who need their credentials of ministry for registration and display. The package is very professional. I am happy with what got. I am still reveiwing the material. The packet of items was very nicely done. Everything looked very professional. Thank you for all the hard work that your do. You have helped me a great deal, your service is wonderful, your products are of high quality, I would refer you to anyone who ask. Packaged well and came quickly! I'm marryin' everybody out here! My material was delivered promptly and correctly. I am very happy to be associated with OPEN MINiSTRY. I ordered the Ordination Package and received exactly what they stated I would receive. I appreciate the example ceremony page and other resources they suggest, very helpful. The delivery took longer than expected due to the US postal service. I would still recommend this service to others. Thank you. The process was very easy. I received my package in less than a week and have already booked (2) weddings since announcing my ordainment. It's a beautiful pkg. Everyone that see's it is very impressed and wants to get ordained. Haha. Good job.